Get connected to horsemen around the world who, just like you, look to Clinton and the Method to stay inspired and build a better partnership with their horses. Learn the Method with Hundreds of step-by-step horse training videos. Get access to member-only training tools, insider horse training tips about how best to apply the Method, and exclusive deals and offers from Downunder Horsemanship. Save big on all Downunder Horsemanship products with your V.I.P. member pricing. Always be in the know about the latest innovations coming from Clinton and Downunder Horsemanship. Stream and download 8 all-new videos per year featuring never-before-seen training sessions. The quarterly publication is jam-packed with how-to training articles, inspirational stories and vibrant photos. Receive 5 free tickets per year to attend any Walkabout Tour with your family and friends. Save up to 50% on Clinton’s ranch and road clinics. 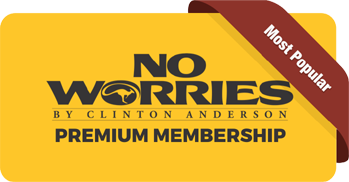 Take Your No Worries Club Membership to the Next Level! For just $39.99 a month, get all of the benefits of the club with UNLIMITED ACCESS to the Method and Professional Series Kits! Plus, receive printed No Worries Journals! 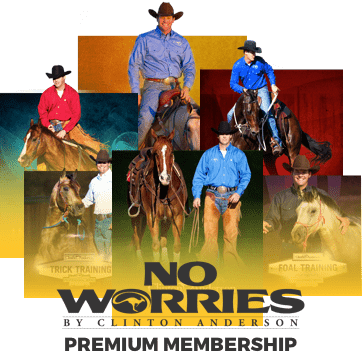 Stay inspired to achieve your horsemanship goals with 24/7 access to Clinton’s ever-growing video training library. View or download the Downunder Horsemanship TV show library, the NWC video archive and the Test the Method Series. How-to instruction straight from Clinton to learn exercises and refine your skills as a horseman. Training sessions focus on specific horsemanship topics, training issues and common horse problems. 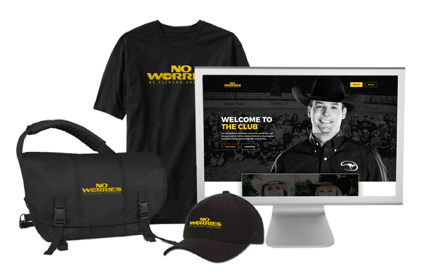 Along with unlimited access to the Method, one of the best features of the No Worries Club is its community of passionate horsemen. Establish an online profile to join the camaraderie. You’ll be able to search for members in your local area, join established practice groups or create one of your own, and build lifelong friendships with horsemen who share your dedication to the Method. Connect with horsemen who practice the Method and are dedicated to building the best-possible partnerships with their horses. The No Worries Club forums allow you to celebrate your training successes, overcome challenges you’re facing with peer feedback and ask training questions. You’ll find the No Worries Club forums to be a supportive and friendly environment that welcomes all horsemen. Find and connect with horsemen who practice the Method online and then train with them in person. No Worries Club groups are established all over the world and offer guidance, support and friendship to horsemen who are serious about the Method and enjoying their horses. It continues to amaze me how fabulous the members of this club are. At the end of the day, we all share a common bond due to our mutual respect and commitment to Clinton and his method. Joining the club started off as a way to save money, but the more members I’ve met and the more I’ve experienced the different functionalities of the club, I’ve realized what an awesome community it is for support, feedback and ideas. I love the DVDs and the journals, and I really love the access to all of the videos. It’s unlimited training information that’s available whenever I need it most. I couldn’t do without the club! Two Great Ways To Join! What are you waiting for? If you're serious about learning how to build a safe, enjoyable partnership with horse using the Method, there's no better way to reveive Clinton's instruction, be inspired to achieve your dreams and stay connected to Downunder Horsemanship.